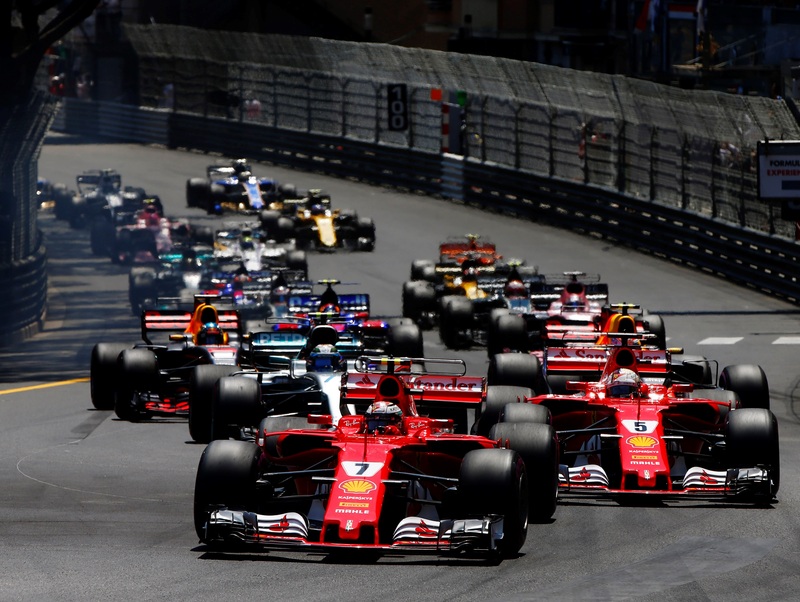 After the chequered flag fell on Ferrari’s first Monaco victory since 2001, rumours of team orders started to swirl. 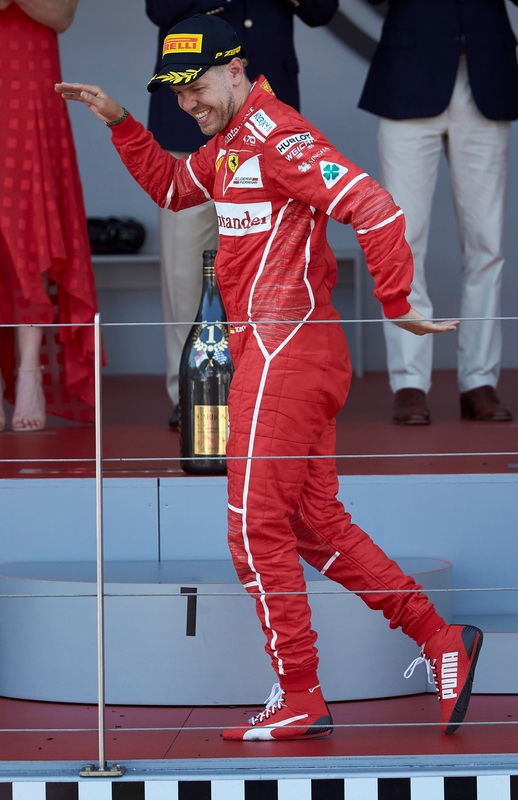 Pole-sitter Kimi Raikkonen was victim to an unusual strategy that saw the Scuderia effectively hand victory to Sebastian Vettel by pulling the Finn in for fresh rubber at a time when he had no option but to return to the track in heavy traffic. “I was called in,” Raikkonen said following the race. “That is about it. Obviously they had reasons for it, but it is not up to me to answer. I can stop the car if I like [in the pits] as I am driving it, but we work as a team and if you don’t believe what you have been told or how it works it will get very complicated. Speaking after the race, Vettel denied that team orders had been in play. Max Verstappen was similarly affected by an oddly-timed stop, with the Dutch racer returning to the track behind teammate Daniel Ricciardo and with no real opportunity to make up the lost positions through banzai overtakes thanks to the narrow configuration of F1’s oldest street circuit. Track position has always been king at Monaco, with the race won from pole more often than not. This year’s wider cars made overtaking even more challenging than it has been historically, with only one real overtake on Sunday afternoon (unless you count Button passing Wehrlein by flipping the Sauber onto its side and out of the race). As a consequence, gains were made in the pits and not on the track. Sauber and McLaren tried to turn the strategy on its head, pitting Button and Wehrlein in the opening laps with a view to trying out an early one-stop for later gains. Those gains were lost thanks to the lap 59 collision between the two men on their way into the tunnel. Where McLaren and Sauber stuttered, Red Bull got half the battle right. One of those to benefit from the right strategy was Daniel Ricciardo, who managed to combine a series of fast laps during the pit stop window, staying out long enough to jump his teammate in a move that would eventually deliver the Red Bull racer with the final slot on the podium. “I’m not sure what position Max was in with the tyres at the time – I don’t know if he wanted to make the pitstop and try to undercut Valtteri,” Ricciardo said in the post-race press conference. “I assume that was probably the thinking behind it. Of all the possible outcomes of Jenson Button’s one-race F1 return, no one expected that the Briton would end his grand prix having punted Pascal Wehrlein into the barriers at the entrance to the tunnel. That Button’s MCL32 was able to make it to lap 60 was a surprise in and of itself, but for the legendarily cautious and precise 2009 world champion to misjudge the amount of track available and unwittingly flip a rival? Wehrlein was unhurt in the shunt, expressing his frustration over the radio that he was unable to climb out of the car unaided, and racing resumed on lap 59. 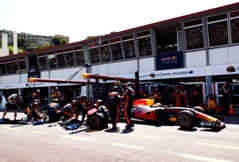 First to take advantage of the Safety Car period to pick up a free pit stop was Max Verstappen, but the Dutch racer’s efforts did not lead to the hoped for podium finish. That honour went to teammate Daniel Ricciardo, who was best of the rest behind the Ferraris. Sauber’s day went from bad to worse when Marcus Ericsson crashed into the barriers at Ste Devote while attempting to unlap himself under the Safety Car. But the Swiss team were not alone in their nightmare afternoon. When racing restarted on lap 67, McLaren’s Stoffel Vandoorne took himself out of the race, ending his day in the barriers and bringing out the double yellows.